Premium Quality Rustic Edge Wood Countertops. Born from a love of nature, the Country Mouldings Rustic Edge wood countertop collection is a high-end countertop with a rough edge simulating a live edge countertop. Are you a homeowner who is looking for a unique custom countertop to complete your dream kitchen? The one of a kind countertop is custom made for your kitchen by skilled woodworkers with the highest quality materials available. Country Mouldings pride ourselves with making high-quality countertops for any kitchen and yours is no exception. The Country Mouldings Rustic Edge wood countertop is similar to the live edge countertops on the market today. The exception is that our edge is simulated at our factory by a skilled craftsmen. 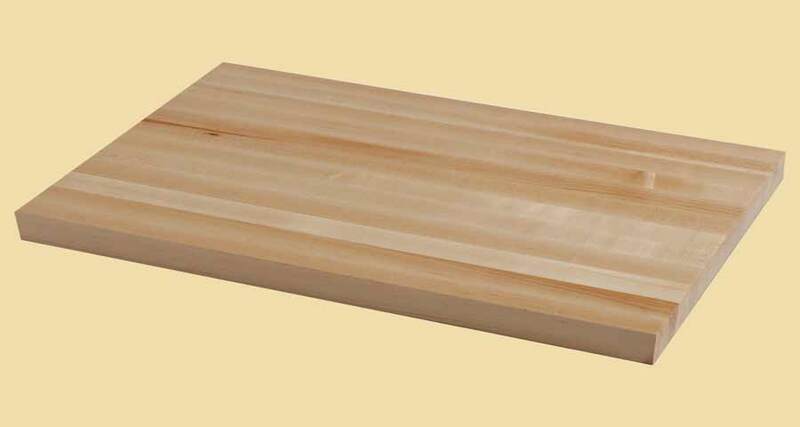 Our Rustic Edge countertops are crafted by gluing high-quality hardwood planks in varying widths from 3”-6” together. The planks run the full length of the countertop, giving the surface a clean and smooth finish. Great care is taken in the selection of the boards, so that the completed countertop is one cohesive piece. The edge is then machined up to 1” depth to give the appearance of a live edge countertop. 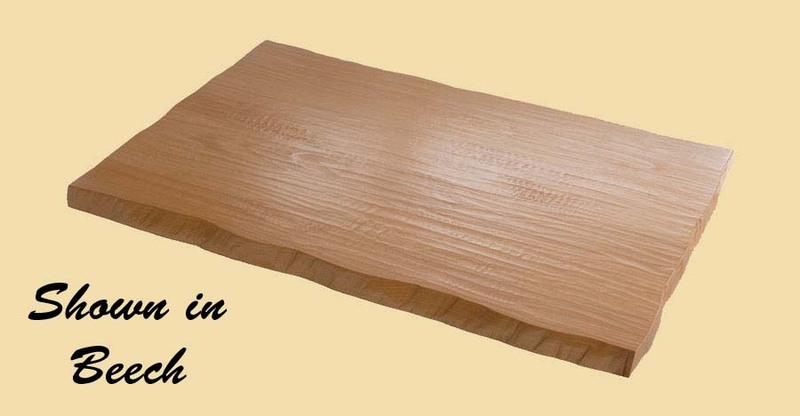 Country Mouldings uses the highest quality FAS and Select grade lumber in the construction of our countertops. 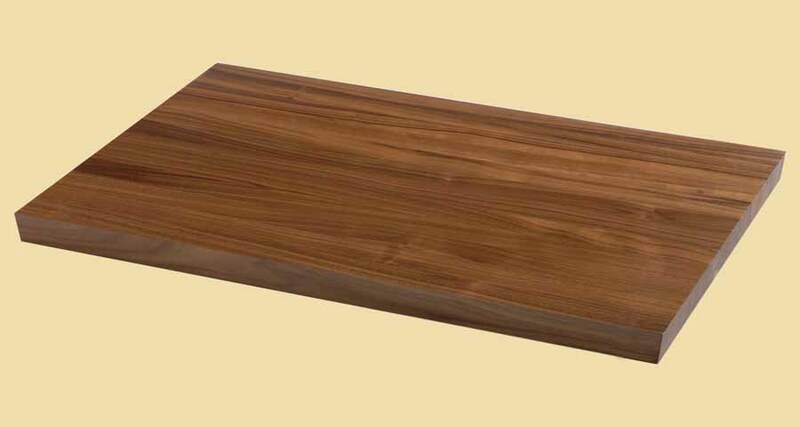 This produces the highest quality of wood countertop on the market today. For your kitchen, you can pick from your choice of wood species. Each wood has its own distinctive color and characteristics and add to the beauty and uniqueness of the countertop. Our Rustic Edge wood countertop collection is offered in flat or hand-scraped. Flat offers a smooth top surface, while the hand-scraped finish adds a unique texture and character to the piece. The countertop is then either left unfinished or prefinished with mineral oil suitable for food preparation or a catalyzed conversion varnish. Ordering your custom Rustic Edge wood countertop has never been so easy. Visit our online store now to get an instant online quotation and place an order for your countertop today!